Email and websites for therapists can also be found on the contact us page. 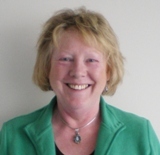 Maggie first began her training in reflexology and reiki 18 years ago and found she has derived enormous satisfaction from working on a one to one basis with her clients. 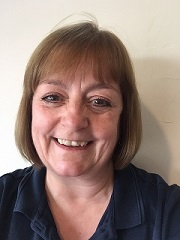 Maggie has worked for a number of years with Freshwinds, a Birmingham based charity offering advice, support and complementary therapies for people with life limiting conditions. She also works half a day a week on a ward at the Birmingham Childrens hospital delivering therapy to children, family members and staff. Maggie first trained in reflexology at South Birmingham College where she undertook the Association of Reflexologists qualification. Over the following few years she gained a counselling skills qualification, studied aromatherapy, Reiki , Indian head massage, chakra balancing, Spinal touch and energy field healing. Maggie is a full member of the Association of Reflexologists. I have finished Master degree in physical education and I am qualified Junior Intermediate Iyengar yoga teacher. I took my first steps in yoga under the most experienced Iyengar yoga teachers in Poland. 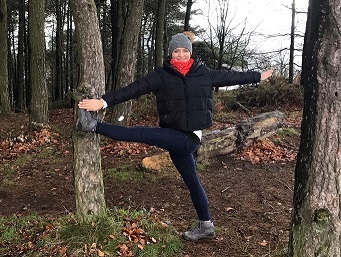 I moved to England in 2013 and I regularly attend classes at the Iyengar Yoga Institute in Birmingham, where I am taught by Jayne Orton, who is a Junior Advanced level 1 teacher, and Andrew Hall. To deepen my own practice and knowledge about yoga I also regularly participate in workshops conducted by senior Iyengar Yoga teachers. In, December 2014, February 2016 and February 2018 I spent the whole month at Iyengar Yoga Institute in Pune in India, where the Iyengar method was established. Yoga for me is the peace, which I have been looking for so long, a challenge and a source of great joy. When I practise yoga I feel happy and fulfilled, although it is not always easy. Yoga gives me strength, opens the mind, allows to look differently at the surrounding me people and the world, and helps me to accept difficult situations. I think yoga has found me, even if I was strongly defending myself against it. Now I cannot imagine my life without it. I love yoga for its wonderfully relaxing effect on me, for the knowledge about my own body that I learnt through it and the opportunity to improve it. For the fact that it forces me to be here and now, and to concentrate on my own practise. I love yoga for giving me so much, even though I expect nothing from it. I worked in the Recruitment industry for thirty five years, mainly in Birmingham, but also latterly in exciting places like Warsaw, Belgrade and Kampala. This was very rewarding, but I always seemed to have an interest in China and in Eastern Arts. In 1983 I was lucky enough to find a Taiji class in Birmingham and threw myself into the practice. Combined with the Taiji there were always interesting warm up exercises that I later discovered were Qigong (working with energy). Although I kept up the Taiji I became more interested in exploring the esoteric practices of Qigong. In 1998 I was on a Taiji trip to Bejing with a group of students from Birmingham. We trained at the People's University with Professor Li Deyin, one of China's most renowned Taiji masters. As part of our studies we were introduced to a Qigong form that I hadn't encountered before. This was Lift Qi Up and Pour Qi Down, part of the Zhineng system. I immediately felt energy move in a way i never had before. I was teaching Taiji at the time and used it as a warm up exercise for several years, before the overseas postings. I practiced the set for fifteen years, never really understanding anything more than the sequence until 2013. I then realised that few books were beginning to appear on the subject and invested in them (my word's, not my wifes). These showed me that there was much more to this style of Qigong than I had ever realised. I joined a group of students and teachers in Guilin, Guanxi Province, Southern China, for fifteen days of practice, eight hours a day. I realise that the word profound may sound excessive, but that sums up my experiences with the system. The Chinese teachers told me I should go back to teaching and here I am. Relationship difficulties, work challenges, depression or anxiety getting in the way of satisfaction and fulfillment? Ready to take charge of your life and make it work for you? I’ve been working with motivated individuals and couples to make their lives better for the past fifteen years. 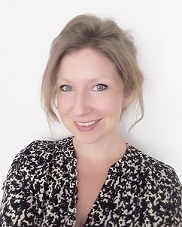 I’m credentialled as a Psychotherapist / Counsellor and Coach (being a member of the British Association of Counselling and Psychotherapy) and I’m a good choice as your guide if you believe in a holistic approach to changing and healing. While insight is often interesting it takes a shift throughout the body-mind-spirit for a sustained difference to be made. You can shift the patterns currently habituated in your body and in your life if, and only if, you are committed to making this personal work your priority. The process is rewarding and fun enough that once you get started you’ll want to continue. I know change is possible for you because change - profound change - has been possible for me. 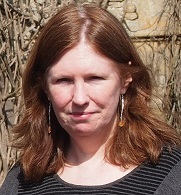 To learn more about me, my training and experience, check out my website at www.claremyatt.co.uk. I look forward to hearing from you either by email clare@claremyatt.co.uk or call me on 07894-714853. Hello I’m Susan. I came to homeopathy from a public sector career in local government. After qualifying as a homeopath from the College of Practical Homoeopathy in 2004, I’ve practised since 2005 in different environments; a complementary health centre, an osteopathic practice and as a volunteer homeopath at a Birmingham charity called Freshwinds. I am registered with the Society of Homeopaths and am on a register that has been accredited by the PSA (Professional Standards Authority for health and social care). I hold a Certificate in Homeopathy Philosophy from the Dynamis School of Advanced Homoeopathic Studies. I have a special interest in homeopathy research and education. I won a bursary to attend the Homeopathy Research Institute’s 2nd International Research Conference in Rome in June 2015 and joined the Society of Homeopath’s Research Sub Committee in December 2016. Since January 2015 I’ve been a board member of the North West College of Homoeopathy with a research remit. I am insured through my registration with the Society of Homeopaths. I am passionate about homeopathy. It’s helped my own health to improve following recurrent chest infections. I’ve worked with babies, children, younger and older adults and with people from diverse backgrounds. I particularly enjoy working with young children and with women as the whole family can benefit. I believe in contributing to the community. As a volunteer therapist at Freshwinds, I’ve provided homeopathic support to people with life limiting illnesses including MS, cancer and children with disabilities. As I’m a registered homeopath the cost of your homeopathy treatment may be covered by some medical insurance such as the BHSF (Birmingham Hospital Saturday Fund) Simply Health and other schemes. Please check with your insurer. I like homeopathy because it encompasses a holistic approach taking the whole person into account and because the homeopathic remedies are made from natural substances often plants or minerals, so they are safe to use especially for babies, children and pregnant women. What I Can Help with: I’ve experience of treating babies and children for childhood illnesses, women’s health issues, seasonal and acute illnesses such as winter coughs, colds and summer allergies, for stress management and general anxiety. There is a growing body of research and evidence to show the efficacy of homeopathy in treating these conditions. The homeopathic remedy is included in the consultation fee, for additional or repeat remedies a £10 charge may be payable. I work in a friendly, professional way. I am happy to have an initial telephone chat before you book an appointment and I keep in touch between appointments. Testimonial: “I started seeing Susan to help me treat problem spots on my face and to help me stop taking the antibiotics I was using to treat them. I no longer take any antibiotics and my skin is so much clearer. My experience has been both interesting and positive and I wholeheartedly recommend homeopathy and Susan to anyone considering complementary therapies”. J.S. As a child I remember suffering with occasional back pain. In my mid 20’s the back pain got a lot worse to the point of being chronic. I had always kept fit but the pain although helped by swimming kept coming back. I used painkillers , anti-inflammatory drugs and a Tens machine to help with the symptoms of pain until they no longer worked. This caused me anxiety and led to mild depression. My husband suggested trying yoga, so I spent a year practising from a book each morning which would help ease the symptoms of back pain. After 6 years of yoga practice I came across IYENGAR yoga and with its fine detail my body became stronger on a different level than with other forms of yoga. Due to holding poses for longer periods of time, attention to alignment and detailed explanations from teachers. After 10 years of chronic back pain one day I realised the pain had completely gone. I know for a fact that I have Iyengar Yoga to thank for that. Over the years I have had many injuries on my weaker side. This has only helped me gain a better understanding of the subject putting me in a greater position to be a teacher. Iyengar Yoga has made me the person I am now and I couldn’t imagine where I would be without it. Julia Richardson (née Fearon) BSc (Hons) Complementary Therapy. Aromatherapist, Baby Massage & Baby Yoga Teacher. I first learnt about aromatherapy in the late 80's/early 1990s. I was at a nursing conference about treating chronic pain in children and listened to a presentation about aromatherapy. I was fascinated to learn that you could use plant extracts theraputically e.g. to treat pain and have been firmly hooked ever since. I went on to study a BSc in aromatherapy and finally left the NHS in 2005 to pursue it as a full-time career. I have also studied and qualified as a baby massage, baby and toddler yoga instructor. I love my job! Over the last 20 years, I have honed and developed my aromatherapy and massage skills. I am not a 'typical' aromatherapist. I use a wide range of methods including deep tissue massage, facial/foot and head massage and simple lymph drainage techniques. I specialise in antenatal massage and blend individualised aromatherapy products such as handwash, bubble baths and oil blends to vaporise for home use to help maintain the positive effects of treatment between visits. Seeing my clients achieve total relaxation and leave with a smile on their face is great job satisfaction. Working too with the babies and parents is a privilege. Every class I teach brings joy and laughter to me and I think (hope!) to the families I work with. Watching parents and babies grow in confidence and enjoyment together and making friends is wonderful. I also teach/lecture and act as external examiner, give conference presentations and write/publish articles about different aspects of complementary therapy for a variety of resources including academic journals and books. I’m a Football Association Sports Injury and Massage Specialist. As 1 of 25 students who was chosen worldwide to study at Lilleshall School of Excellence, I achieved a high level of professionalism, enabling me to work with several celebrities and a Premier League Football Club for 4 years. So you can be confident that you are in good hands with over 10 years’ experience in resolving your sports injuries, sports massage, backaches, aches or pains. I have also been a Beauty Therapist for over 17 years with a CIBAC, and IIST Sports Massage Qualification. I have built a reputation for my caring approach and delivery of the highest quality treatments for my clients/patients. From having a sports massage to a facial or a holistic massage you will be educated on how to maintain and take care of your body leaving you feeling you have had the very best experience. I recognize you are unique and because of this I tailor each treatment to suit you as an individual. I’m also a member of the Federation of Holistic Therapists. Therapists who are members require evidence of qualification insurance and continue professional development. I use a variety of techniques to help your muscles and joints work to their full potential. Sports massage usually focuses on more specific areas of the body and can support the body and mind to prepare for competition and recover from post event or training. It doesn’t matter if you’re not a sports person as your day to day life and work can cause adhesions (or knots) that may cause local pain or referred pain and other sensations, such as headaches. Before your treatment I will assess your condition, diagnose the problem and help you to understand what’s wrong. Please note your consultation is free! If you’re looking for total relaxation then I can provide you with ultimate unique treatments. Treatments range from massage and facials. I provide you with an unique quality range of treatments that will leave you feeling refreshed and relaxed. 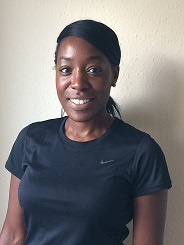 Hi, I'm Jennifer - a registered Nutritional Therapist and Health Coach specialising in digestion and healthy weight management. I help my clients to achieve a lifestyle free of excess weight, bloating, and negative self-beliefs, once and for all! I work with busy people who are constantly worrying about everything else besides themselves, who want to lose weight, balance their hormones, and simply re-charge their health and feel more vital and energised than ever. I combine Health Coaching with cutting-edge nutritional science to create a custom and tailored programme just for you, and to help you find the motivation for lifelong success. Wondering how I may help? Contact me to book your FREE 20 mins health review. Ben Thomas is a Chartered Physiotherapist with over 7 years clinical experience. A graduate of Manchester University, Ben has gained a broad experience in treating both musculoskeletal and neurological pathologies through working extensively within both the NHS & the private sector. Ben now specialises in the assessment and treatment of musculoskeletal conditions and sports injuries. Ben has completed numerous post graduate courses that allow him to provide a plethora of treatment modalities with a high level of skill and effectiveness including acupuncture, massage and manual therapy. Ben is a strong advocate of the concept of career long learning and the use of evidence based practise to ensure all his patients receive the best possible treatment, achieve optimal outcomes and are able to return to full function as quickly as possible. In his spare time Ben enjoys football, golf and distance running. Peter Harris graduated from Oxford Brookes University in 2007 and now has eight years of clinical experience working within the NHS. During his time in the NHS Peter developed a keen interest in the assessment and treatment of musculoskeletal conditions. In addition to this he has four years experience working within the private sector with both private and insurance patients. Peter has completed a post graduate course in acupuncture and has also worked for over two years with Wolverhampton Wanderers women’s football team. In his spare time Peter is a keen sportsman and has been known to swing a golf club. He captains a cricket team, enjoys long distance running, cycling and more recently has also competed in triathlons. His keen interest in sport and clinical knowledge within the physiotherapy area means Peter is keen to set patients goals to help them return to their chosen activity as quickly as possible. Merlin studied English at University, worked with deprived kids for the best part of ten years, and spent another ten years working in the construction industry! Then he got sick, couldn't get well, and found himself (reluctantly) at the door of an acupuncturist in Birmingham. What followed left some impression on him - enough to make him want to study and practise this curious therapy! 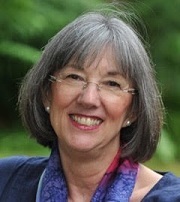 Merlin first studied acupuncture at the College of Tradional Acupuncture at Leamington Spa in Warwickshire. The licentiate qualification obtained there is accredited by the British Acupuncture Accreditation Assessment Board, the body which regulates training in traditional acupuncture in the UK. Since then, he has extensively investigated acupuncture, and particularly the way it is practised in Japan. After seeing how quickly and easily people improve with the gentle Japanese techniques, today his treatments are primarily planned using principles of this style of treatment. He continues to study and develop these methods. Since 1998, he has studied regularly, both in the UK and Holland, under Stephen Birch, one of the most articulate exponents of acupuncture in the West, who is also a recognised authority on Japanese methods. This training has enabled him to become a member of the Toyohari Association, and he has travelled to Japan and studied with some extraordinarily gifted blind acupuncturists. Both inside and outside of the treatment room, the care, comfort and well-being of his patients is paramount . Merlin only uses the finest quality and thinnest pre-sterilised and disposable stainless-steel, silver or gold needles. He abides by the codes of ethics and practice laid down by the British Acupuncture Council, of which he is a member, and through which he is fully insured. His hope is that each of his patients encounters in him a practitioner who is capable of understanding their pain or discomfort as well as being able to help their condition. In this process, his intention is also to create a space in which humour and humanity can be shared. Experience teaches him that we can thus often discover we are no longer so defined and restrained by our complaints (as it so often feels), but that we can be liberated by them.